No matter how many times you replay the events of the morning you ran your mailman over in your head, you can’t change the outcome. You can, however, comfort yourself in knowing that for many cultures around the world, death is not something to be feared or grieved, but to be welcomed and celebrated. Here are five examples of how different cultures view death that will help you feel better about accidentally crushing your mailman with your SUV on the way out of your driveway. The Sikh sacred text, the Guru Granth Sahib, says that the body is mere clothing for the soul. According to Sikh belief, your mailman’s soul was traveling through one of 8,400,000 forms of life, and if he lived by God’s plan, the cycle of rebirth may now have ended and he may be on his way to meet Waheguru (God). So, according to Sikh belief, you don’t really have to feel too guilty about running over your mailman at all. In fact, you’ve brought him one step closer to his divine union with Waheguru. What’s done it done. Sure, you could have turned your head and looked behind you before flooring the gas and screeching out of your garage, but nothing can change that now. But consider the event from a Muslim perspective. Muslims believe that death is not the end of life, but a journey to an everlasting world. According to the Quran, your mailman is now in Barzakh, the barrier between our world and the spiritual one. He will remain there until his resurrection on Qiyamah, the Islamic Judgment Day. Whew! Sounds like according to the Islamic faith you didn’t even technically kill your mailman. It’s normal to grieve after the passing of someone you knew, such as the mailman you ran over as he waved good morning to you. Luckily, you don’t have to feel too bad about it because the world’s largest religion, Christianity, believes that one’s spirit either ascends to Heaven to live an everlasting life or descends to Hell, where it will be tormented for all eternity. 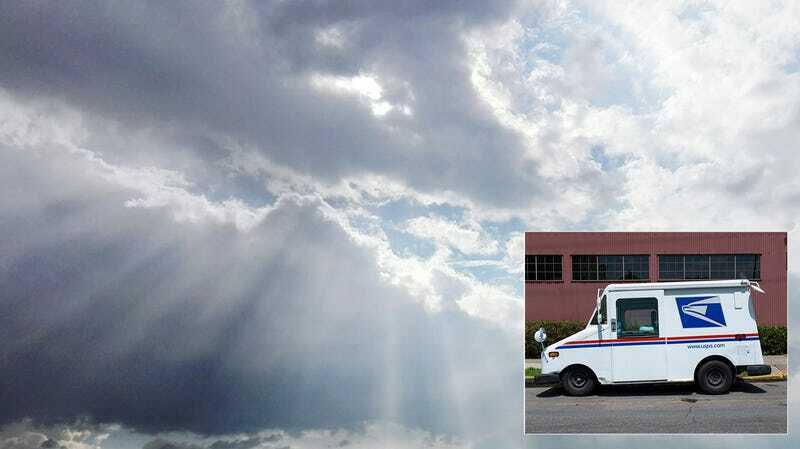 While the many different denominations of Christianity have different beliefs on the specifics of what comes after we die, rest assured that all of them agree that your mailman’s soul is still out there somewhere, possibly in paradise. It is possible that he’s burning in Hell, but if he’s in Hell, then you can rest easy knowing that he deserved it for living a life of sin, so that’s totally fine too. Guilt stemming from events such as backing over a mailman can be devastating, but from the Maori perspective, death is actually pretty cool. According to Maori mythology, upon death your mailman’s soul traveled to northern New Zealand, skimmed along beaches, slid along trees, climbed to the island’s highest point for a final look at the world, and finally plunged into the deep to the protection of Hinenuitepō, the Maori goddess of death. Sounds like a blast! He probably loved that. Everyone dies, whether it be from old age, disease, or getting run over while delivering mail. Shintoists view death as a step toward apotheosis whereby legendary people are enshrined as gods after death. While your mailman wasn’t as legendary as Emperor Ōjin, who was enshrined as Hachiman the God of War, maybe he was well-known enough to possibly become some sort of Lesser God of Mail or Stamps or something. That’s got to feel good to know. Nice job!